Our visitors DO need to know what activities are permitted at our places (mostly at our lawyer’s insistence), but they also came to have a good time and not to be overtaxed with rules. So how do we get the point across without coming off like the Church Lady? One way is to appeal to their own sense of ethics, to let them make their own decisions after being presented with the possible consequences. This becomes educational instead of confrontational. 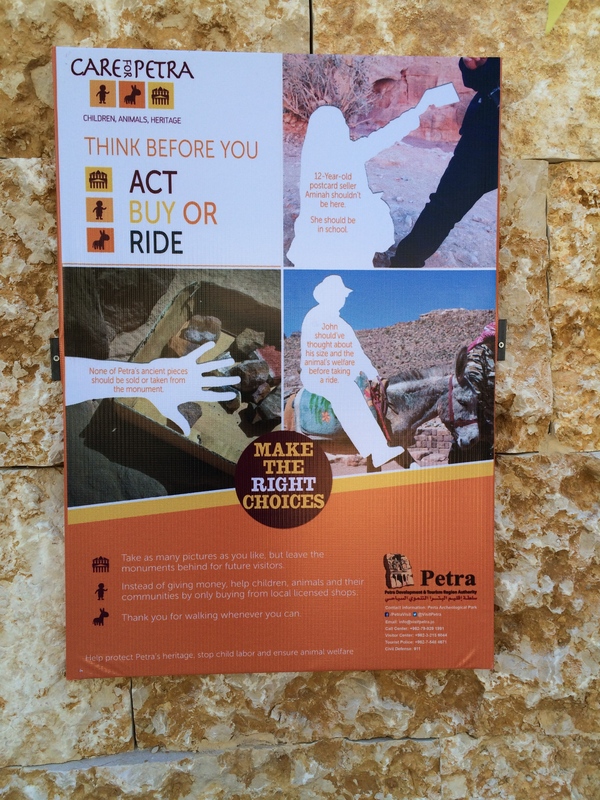 I saw an excellent example of this during a recent visit to Petra National Park in the Middle East country of Jordan (I highly recommend it for your bucket list). The visitor entry of this UNESCO world-heritage site was welcoming and well-designed. In fact, there were hardly any obtrusive signs other than for wayfinding. Maps and historical information were carefully tucked behind walls, giving way to the more spacious landscape and sublime sense of place. Along the journey to the historical sites, however, were a few cautionary signs. Under the title “Care for Petra” (who wouldn’t? ), the signs implored one to “think” –before you act, buy or ride. Meaning that there are children at the sites selling wares–some taken from the historic monument itself, or pack animals such as camels and horses that should not be carrying heavy loads or heavier tourists. The signs didn’t command one to not do these things, but instead left one with an ethical dilemma for each person to answer on their own. The graphics were equally compelling by leaving a blank figure in each situation for the visitor to insert their own image. The only recommendation on the sign was to “make the right choice.” After all, that is the only action that we could hope any visitor to perform. So take a close look at your “do not” signage and see if you can appeal to your visitors’ integrity instead of token admonishment. Sometimes it just works better. When we graduate from college we are all ready to take over the world, implement all the great ideas that we have, “improve the world”, make a change, be the best professional that we can be based on what we have learned. Some students don’t know exactly what they want to do with their degree, their life and how to channel all the energy, some drift through a few jobs trying to figure out who they are and what they want to become. There are some impressions about being professional and there is more to it than acting and looking professional. Getting paid is not one of them, there are too many volunteers doing a professional job for non-monetary retribution. In the upcoming weeks we have great opportunities for professional development, a chance to further your knowledge and credentials on the field of interpretation. Both are great opportunities to show that you are a true professional and will take advantage of professional opportunities to network, hone skills, further knowledge and hold a professional certification. I hope to see you in Puerto Rico. As we remain in the depths of winter – here in north Florida it hit 22° last week! – the cold presents new challenges and opportunities to interpreters and visitors who venture outdoors. What can interpreters do to entice visitors to explore outside when the weather is frightful? Consider Maslow’s hierarchy, which maintains that physiological needs must be met before all others. Are visitors, volunteers and staff dressed for the weather? Does everyone have water? What can you do in the winter that you can’t do the rest of the year? Is there an interesting feature visible through leafless winter trees that can’t be seen the rest of the year? Electronics can be temperamental at the best of times, and the cold combined with attempts to use them while wearing mittens may prove frustrating. How else can you communicate your message? Visit Acadia National Park’s website for tips on winter hiking and winter camping – if folks can hike and camp in Maine during the winter, surely we can do so in the Sunny Southeast! While it’s tempting to follow Ellen’s advice, consider the rewards of interpreting outdoors through the winter. And a bonus: January 19, Martin Luther King Day, is fee-free in National Parks. What adventures await you this winter? 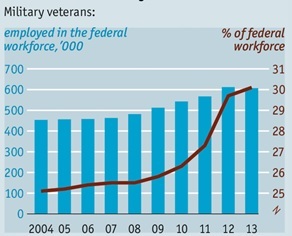 The Economist published an article in December 2014 about the “rise of the vetocracy.” Not (as Democrats might hope for, given the new Congress) veto-cracy, but vet-ocracy, as the newspaper calls the increasing number of federal employees who have served in the military. The Economist notes that about a third of all federal employees are veterans – a figure that has increased sharply since 2009 – and that roughly 50% of new federal employees are veterans. Federal employers loom large in interpretation, so the difficulty non-veterans have in securing federal positions has enormous consequences for interpreters and our profession. For some, it will be a gain. For others a loss. Let’s start with the gain – a lack of easily-obtained federal positions means non-federal employers will have more choices in the hiring market. This set of conditions should be a boon to such institutions. It is hard for state parks, for example, to compete with the compensation and benefits offered by the federal conservation agencies (to say nothing of the prestige of working for the National Park Service). But the rise of the vetocracy is changing this equation. 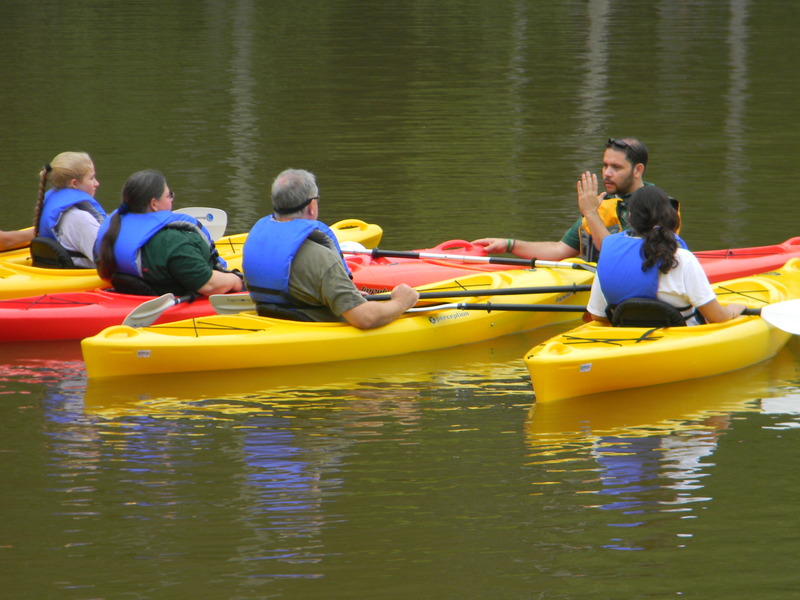 Individuals who might otherwise have earned a federal position will be available for hire by private nature centers, state and local parks, zoos, aquariums, and museums. There is a flip side to this – well-qualified individuals without military credentials are at a disadvantage when looking for work. I’m sure there are many veterans in the federal service who are excellent interpreters. But I’m equally sure that there are federal interpreters who, if it weren’t for their military service, would not have been hired. Recent graduates in particular who lack military service and are looking for their first permanent, post-college position – like myself – are being forced to take positions outside the field because it’s increasingly difficult to be an interpreter. The job market has effectively contracted for us. How can federal managers ensure that the best interpreters are hired while respecting veteran’s preference rules? Non-federal employers have a golden opportunity to access talent that might have otherwise been collected by the federal government – how can they leverage that opportunity? How, for example, can a small historic site attract and retain candidates who might feel they are ‘settling’ for work outside of a large national battlefield or similar setting? What sort of responsibility do professors and other mentors have to their mentees interested in the federal service? How should mentors balance the need to be supportive with the need to be forthcoming about the challenges of finding a federal position? The rise of the vetocracy is a mixed bag. Let’s start the conversation about what it means for us and the future of our profession. This article cross-posted on the author’s own blog, where he writes about public lands, heritage interpretation, and environmental policy.